Hudson Construction Services, Inc. is full service Construction Company with a focus on medium to large scale projects, while still being able to offer bundled packages of construction services to shopping mall managers, real estate investors, and commercial asset managers alike. Our combined Team’s experience spans 186 years. Hudson Construction is an experienced and established Chicago based company focused on providing on time and on budget, well communicated and documented projects in the shopping center, retail, restaurant, bank, office, light medical, dental and hospitality sectors of the construction industry. Since 1999 Hudson Construction has served the greater Chicagoland markets, and is proud to announce a new division, Hudson Commercial Carpentry (HCC), specifically attuned to the needs of Commercial Clients seeking bundled solutions for Rough Carpentry, Non-Foam Insulation, Drywall, Acoustical Ceiling and Millwork services. We thank you for your interest in Hudson, and hope you will allow us to bid on your upcoming projects. On a Mobile or Tablet Device? 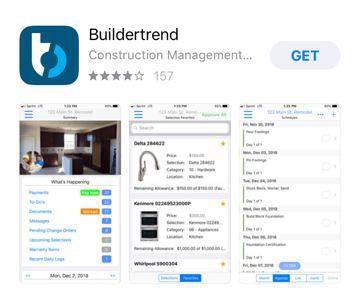 Why does Hudson Construction use Builder Trend for all its Clients Projects? Commercial & Residential Carpentry Services delivered with cooperation from local fabricators of metal studs and trusses allowing our three crews of Carpenters to erect your project with minimal field cutting, increasing our efficiency, and maximizing our delivery times to you. Acoustical Ceiling & Suspended Ceiling installations for shopping center, retail, restaurant, bank, office, light medical, dental and hospitality sectors. Batt Insulation and Fire Stopping are offered on both residential and commercial projects, in tandem with our framing and drywall services. In the event you project calls for closed or open cell foam insulation, we can recommend, oversee and coordinate this phase through our vendor pool. For a greater bundle of services Hudson Construction also provides other, non carpentry, in-house divisions. Commercial Painting Services include cleaning & prep, rust proofing and painting of metal bar joists & corrugated decks. spray and roll painting of new and existing walls. We also offer concrete and masonry staining & sealing. Our Painting crew with company owned delivery trucks, scaffolding and scissor lifts make short work of your commercial painting projects. Commercial Flooring services include floor grinding, ARDEX floor leveling and slab repair, vinyl composition flooring VCT, luxury vinyl flooring LVT, vinyl sheet flooring VSF, ceramic tiles & porcelain tiles. If what your project requires cannot be found in stores, our two tiling crews, can provide custom tile installations for Corporate Logos or designs inlaid into your floor or wall system by utilizing local stone fabricators AutoCAD Water-Jet cutting systems. Please keep us in mind for your upcoming projects and add us to your bid list – Contact Us Today!